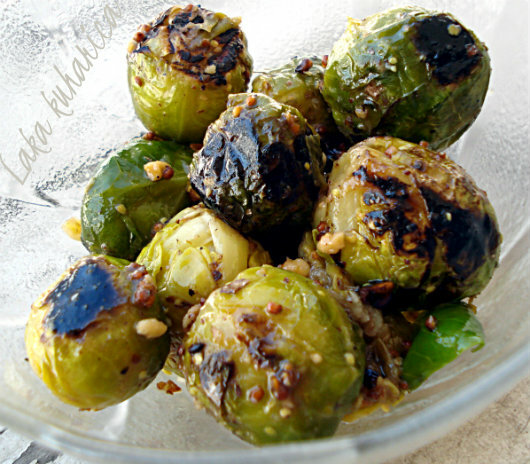 Blanch the Brussels sprouts in boiling water for 6-8 minutes or in a microwave oven in a little water for about 4 minutes. Drain. 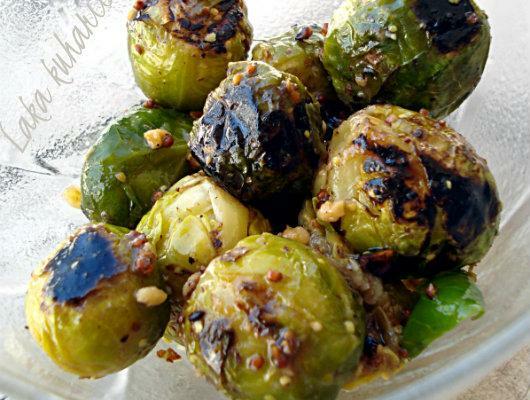 Sauté the Brussels sprouts, stirring constantly, until they become golden-brown in color. Meanwhile mix the vinegar, mustard, honey and olive oil. Add walnuts to the sprouts, stir and combine. Pour the vinegar dressing over the sprouts, season with pepper. Mix and combine so that each sprout is covered with the dressing. Serve warm or cold as a side dish.